Nailedtothecross | It takes Jesus Christ to save. So you say, you know Christ as your Lord and savior. I proclaim him in front of others, you say. You go to church every Sunday , do activities, and tithe regularly. Are you serving for His glory? ?? ?What are you doing when no one is watching ? ??? Do you really appreciate Him and His works in you ? A new year is at hand and where I live everywhere I go you hear from people saying, HAPPY NEW YEAR!I would enquirer of them why? But,I choose to keep the peace and say nothing. To me this is the next day in life, to them its a cause to celebrate get drunk and reminisce on the past year about achievements or disappointments.From the United States they also set goals to supposedly set to obtain as a means of a future accomplishment to be better for oneself or others. I see no point in any of this. Daily I try to better myself. I work on making myself easier to get along with others. Trying to please those who may dislike me or even stepping out to help all that come my way. I think these are good goals to work at and should be set ever day. Not selected on a period of time and make a event out of it. People of this world seriously have need to get their head examined. In the United States the country where I dwell, people seem to only celebrate themselves so the goals set are generally about bettering themselves for self nothing more. Granted I am sure there are a few that hold values higher for others or have a goal that in turn helps influence measures to insure a course to better peoples lives. This country was founded regardless on what most would say(Like I said, those that have goals set for themselves for the most part. ), with Christianity. All the principal laws and human rights were based on what God saw as a right for mankind. Nothing more. What happened? I will tell you. We took God out of the picture. We make God what we think he would be. We put ourselves first. We become our own God. Even those that attend a church regular don’t do. Its fine behind close doors people, its easy to hide, its easy to say, but no one DOES anything. Sometimes I have my moments where I don’t push myself enough and do for others. But for the most part, I do and I know a few that do as-well. The problem is so many people could care less, truthfully speaking. It’s what God says is right, so I obey. I truly hate typing blogs and such, but I am commanded to spread the good news so I DO. I understand that Hell is eternal and I don’t want no one to go there. So I DO. This night and beginning of a new year don’t celebrate it with drinking, whoring, and acting like a fool. Be positive, and make a real difference set goals that are of value and of God’s worth. If your going to do something for yourself then look to find Christ. Check out my brother, sister and their family in this video. WOW! Forbidden, to server the Lord? Watch and answer for yourself. Lets all walk in Christ’s foot prints. I take notes for myself. Not that I ever need them, but I basically use this as a way to reflect. Also to see how I viewed the reading this time around on what God has brought into my understanding of him. God said; I made it. I choose to do with it what I have done.So why are you upset by it? God is good and righteous, he sees the big picture, he has labored and made the big picture. What we see we know not but think we do. I don’t know the picture, but God does. So let him paint it.He knows my troubles. Live in faith. End of note to myself. God bless you who read this, and your family. Good morning everyone! Though it has been a extreme while since I have blogged that’s ok. Sometimes we need to pull that beam out of our eye before we can serve others. Self checking, with Holy Spirit’s guidance is what is happening to me. Many people unfortunately border the seed that was sown in the fields close to the vines that choke(Mark 4:18-19(KJV)). Though I am firmly planted on the good ground with good soil, I at occasion shoot out a branch to close to the vines and run into a snag from time to time. The flesh is weak but the spirit is willing(Matthew26:41). Please forgive me if not being a regular enough a blogger and this bothers you in anyway. I may seem uncaring or little to undedicated in my actions toward blogging. But, I really don’t move unless I feel a push in spirit by God, and sometimes I worry about what people may think (What people think shouldn’t matter.). Thus, this leads to a battle that should not happen between me and God my Father. Like a baby crying at his daddy because he don’t wanna do it, I sometimes do unfortunately. Anyway enough said about that previous subject, it was done more to treat those who are weak in the faith. A understanding and to remove such stumbling blocks that I may have inadvertently set as a stumbling block before my brother or sister(1 Corinthians 8:10-13). Please take a non-offense feeling if you feel this is you. Anyway, and anyway again, on to the main subject which is Good Friday. Thank God for it!!! My Lord died for me today and I am happy/sad plus PROUD OF IT! Sad because I put him there on the cross to die for my sins, no that is not right I don’t really agree when people say that, because God don’t need us we need God. So I am sad because he is my God and for his choosing to having me/us the defiant sinful people, he for love put his son on that cross with my/our sins. To make us perfectly clean, which is the only acceptable way to be for a perfect God. Happy cause he did it to save me and you(who believe). Proud cause he is my Lord, WHOOOOOOOOOO HOOOOOOO(All smiles and excitement here!)!!! I received a comment from a minister who claims Christ supposedly. His misleading in a question lead me to believe he was looking for God’s grace. I landed on my knees instantly and gave thanks to the Almighty in tears and prayer without even checking to see if or what place he had trickled from. The only reason I checked later was because of the final pending statement made, that was pending my approval to post here from him. Wow was I in shock to find that as minister he was doing that which was not my Lord’s work by his actions in choosing his comment earlier and on his pending comment. Note to everyone; I have removed his comments that I so debated about making a spectacle of ,(God please forgive me for such thoughts)for I was angered by his misleading comment when I found out. If you are reading this person who made that commit who is supposedly a minister to a flock whom may be mislead, my answer is YES you can be saved if you say that prayer. Truth about it is a example of what you can pray to God. If you understand and accept his gift which is his son’s death on Calvary’s(Golgotha) cross that blessed day, and that he took your sins all of them to save little old me and those who accept him for that truthful selfless death.It is called knowing him personally. The meaning is a undeniable which is meaning a understanding of him(Jesus Christ) as God and the only way to eternal salvation, instead of eternal burning firey death. Also this, if you read the Bible like I do everyday first thing in the morning, then you would know that the disciples may have not stated that SAVING GRACE(one of my tabs at top to pages) prayer that I have everywhere on this blog site, but would condone it in understanding that the key which is in knowing God(Jesus Christ) as the reason for salvation is salvation(PERIOD), and so yes it IS right. I really hate validating to people that should know better, and yes it so angers me, because I am dealing with that miserable creature Satan himself. But so be it, for in so doing I send for in my part of God’s work to people who do matter even if it is just one future brother/sister, or maybe to strengthen one or to teach one to help another through understanding. I blog along with many other means because I search for my brother or sister whom is yet to be. I need them and want them, even if they were the one who spit on me before hand in front of others or hated me prior to finding Christ Lord Jesus. I love you and want you. Would Christ want me to be feeling so? I say, yes. Onto more about Black Friday(Good Friday). I wonder how anyone who, or any church body can, claim Christ when they hang the cloth for symbolizing Christ’s death on the cross outside their church anytime before Friday. Understanding this shows how on par you are with the Lord to me as church body. Do you that do this as a church or individual understand what Good Friday means? Probably do not or don’t care, just through it up there, sheesh, that is just terrible. 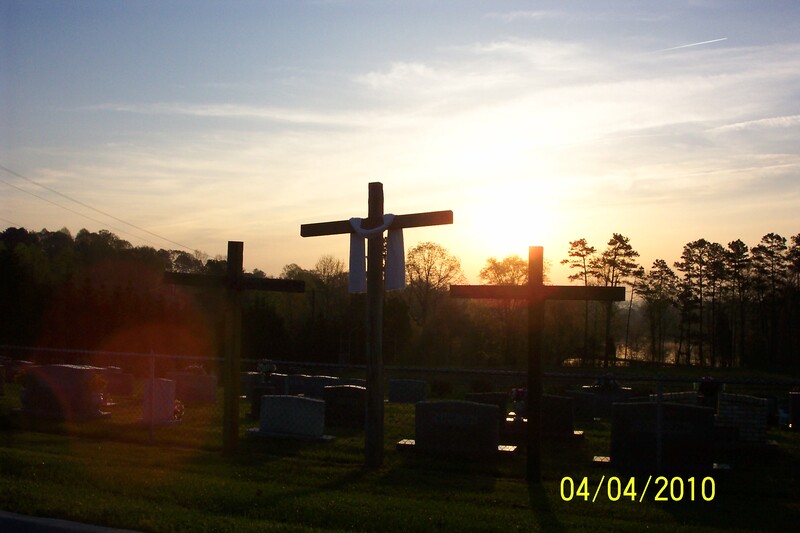 It is a 2 day event for posting the black cloth(or called black robe) on the cross. It should be immediately as soon as possible replaced on Sunday Easter morning with the white that symbolizes Jesus resurrection(Matthew 26:61). I did this when I served at my last church and I am still SO PROUD TO HAVE THAT BLESSED HONOR. Wow, what a honor it was, seriously what a honor, what a honor. I did it two years each of the three mornings first a week before Easter Sunday(purple), on Friday before Easter Sunday(black), and on Easter sunrise(white). Last thing I want to say about the holiest of time to celebrate that I truly hate is this Idol that we bring into our church family for fear of the world looking down on us when we should be in fear of God for him looking down on us and what we ok with or children, which is this damn bunny and egg junk. You are probably like yeah, yeah oh common it is for or kids sake. Right! Sure! Don’t you get or read why or what angered God before the new testament repent I say, repent!!! Just cause you are a Gentile don’t mean God gives the ok to ignore. Wow how we all choose to make our own god instead of OBEYING. I say again repent, or damnation awaits. Oh you say that’s why Christ died, but oking after you know it is a sin even after asking for forgiveness does not make it forgiven when you do it and DON’T repent. I have warned you, deal death to that ok you let be,and finalize it, then ask for forgiveness. What did John the Baptist always preach to the people and especially the Jews? REPENT! Teach your kids God, by setting a example and not oking it. If they ask, show your pride in Christ and tell them the reason. Satan loves the holidays like Christmas and Easter, and why shouldn’t he? They are so screwed up like he is, the cup is not only full in the heart for misleading teachings to others(inside), but also outside as well. For we have so much joy on Easter when that child of ours finds a egg that has no meaning in the day. My favorite church is the one who sells on the church property to raise funds for a good cause supposedly, when they don’t look in faith to God to supply those funds elsewhere. I love this example; A church on the end of the month of October selling pumpkins, WOW, they know Christ. Don’t give me excuses or reasons (Luke 19:45-46). Like me before at the start of this post I said about my beam in my eye the same goes for you too. deny if you want, put off the day, but remember this if we knew what time our Lord comith then we would never do his will. Repent, enough said. I truly want to wish you and your families a very happy Easter. I hope it is enjoyable, and that you spend most of the day with your church family celebrating Jesus resurrection from death and our birth into life. In my opinion the holiest of holy holidays. Do you know the Lord Jesus Christ?